An upscale food court is what I have wanted to see in Manila like the Paragon Food Hall in Bangkok. 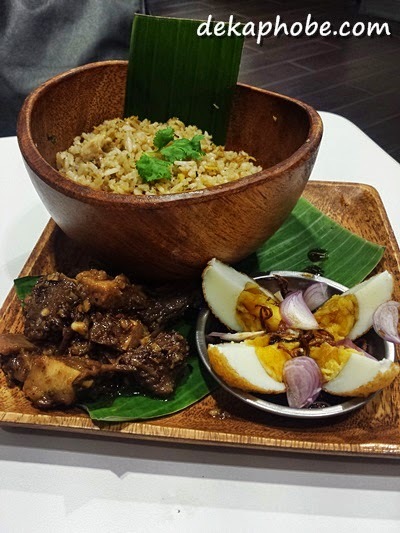 Luckily, the Mega Food Hall, located at the SM Mega Fashion Hall opened a few months ago with food choices ranging from different cuisines for as affordable as Php 200. I like that this particular spot is not so crowded even during peak hours. Also, almost (if not all) stalls use coaster pagers so can sit anywhere while you wait for your food to be prepared. 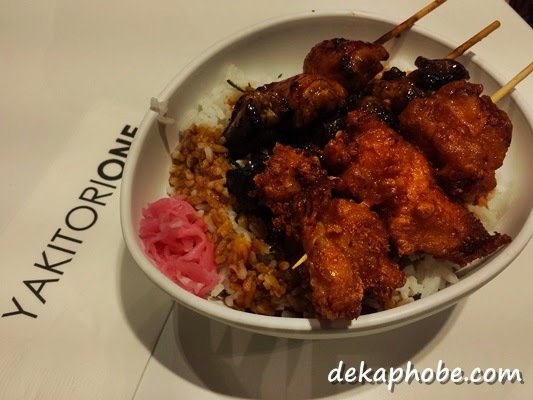 Mega Food Hall has been my favorite dinner spot lately and I'd love to share with you the dishes I have tried and recommend for you to try when you visit the food hall. This Thai resto located in Kapitolyo finally branched out to a food court scale in Mega Food Hall. They offer Thai curry dishes, noodle and soup dishes. I particularly like the mix-and-match meals where you can choose your appetizer, meat dish and rice. 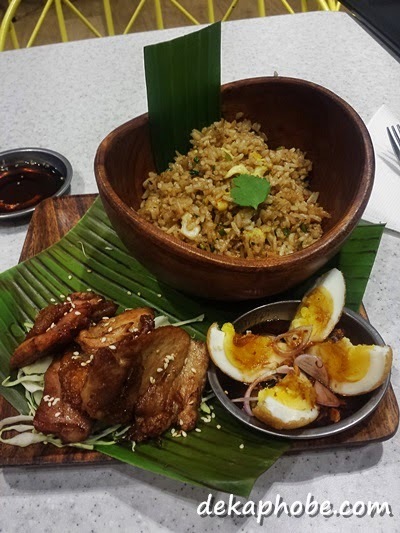 My recommended combos are Beef Brisket with Thai Chicken Fried Rice and Son-in Law Eggs (Php 220) and Chicken Pandan with Thai Shrimp Fried Rice and Son-in-Law Eggs (Php 180). Much as I love Pad Thai, I would not recommend it as it seems a hit-or-miss for Nav. 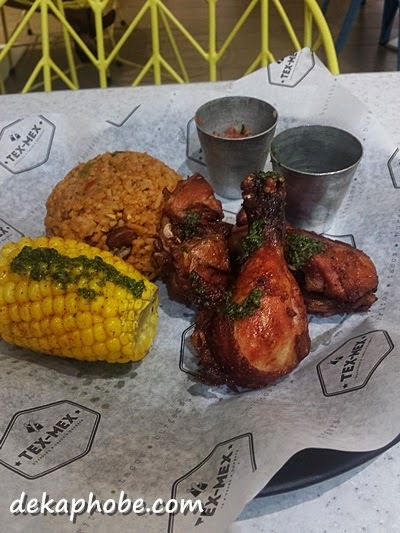 A Mexican food stall, Tex-Mex offers Latin American fares at really affordable prices. 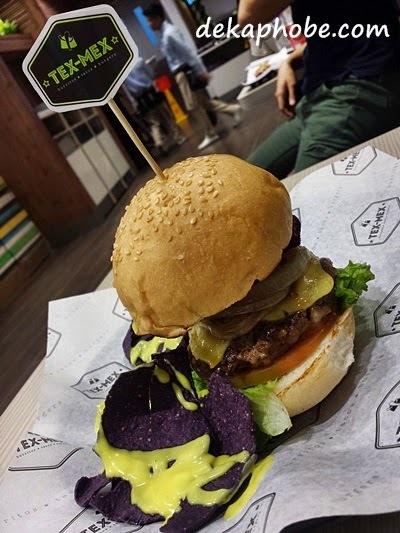 Recommended items are the Grande Burger (Php 199) and the Mex-Pollo (Php 199). Try the Chicken Taco Salad as well. The only Filipino stall in the Mega Food Hall, I have tried it once when I craved for a La Paz Batchoy (Php 150). 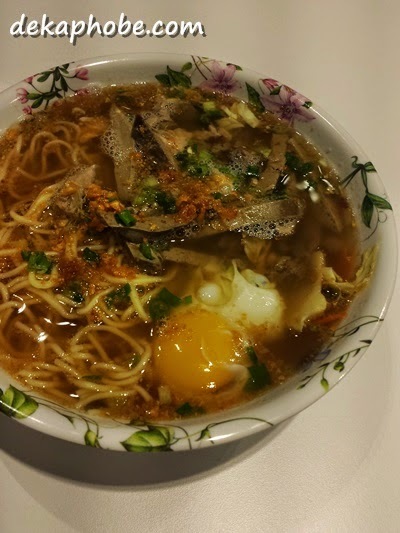 The serving is good enough for 2 persons, the dish was well-executed and the taste didn't disappoint. I look forward to trying their other dishes soon. 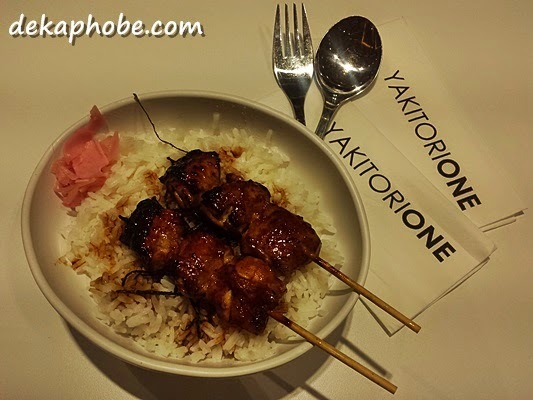 For light dinners, I would recommend Yakitori One, one of the popular stalls in the hall. As I love chicken, I usually have the Set Meal 1, 2 pcs Chicken Thigh (Php 168) or the Chicken Karaage, Chicken Thigh and Chicken Skin (Php 188). 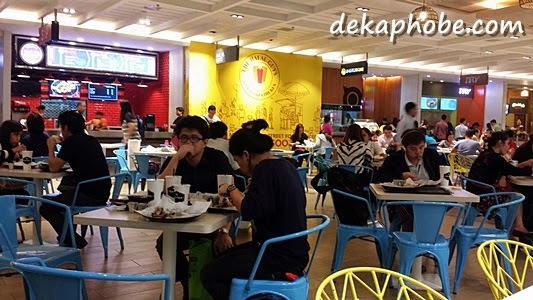 City Golf's popular wings joint, Frankie's, also opened a stall in Mega Food Hall. 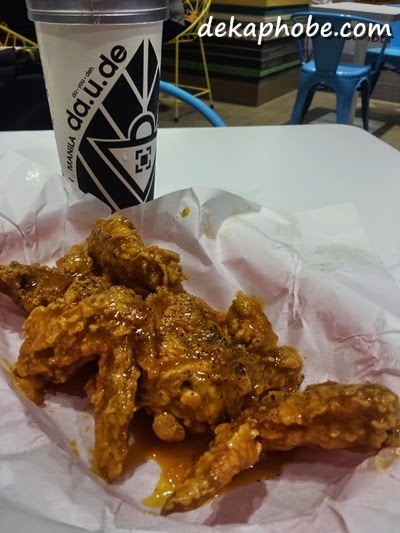 The food court version has a limited menu, but more than enough to satisfy your wings cravings. Last time I dined in Frankie's, my friend and I shared a half dozen of Honey Mustard Wings (Php 188) while my friend had a BBQ Chicken Burger (Php 180). I would love to grab Nagoya Tebasaki and Cheesy Bacon Wings again. 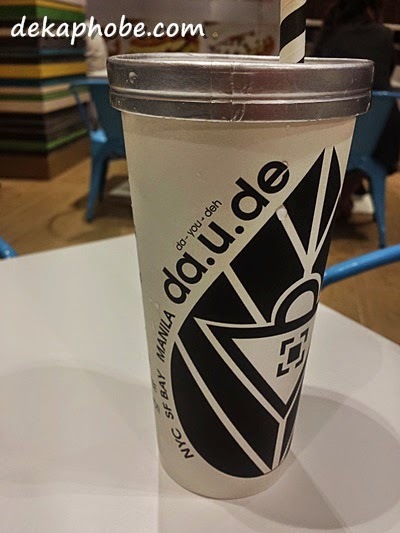 For freshly-brewed tea blends, there's Sweetea's by da.u.de. I admit that I'm not a huge tea fan but I love trying out new drinks every time. 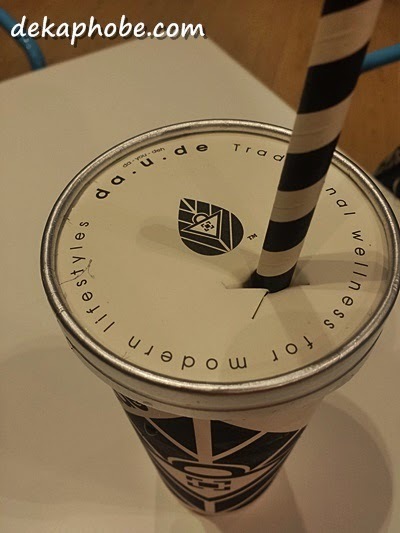 The drinks are prepared as you order hence the 5-7 minutes wait time. I tried the Mango-Nilla (Php 120/130) while my friend had the Almond (Php 110/120). The mild sweetness will surprise your tastebuds if you are used to having sugary drinks, but I love it that Sweetea's emphasize that flavor of the tea leaves than confusing it with too much sugar. Got a clue when halal guys are opening up? I do hope you'll try Nav & Tex Mex. I like both stalls. How the F did I miss this? Okay I'm going to check this out when I return to Megamall one of these days. Prices are reasonable, food is delicious, and wait staff is sweet, conscientious, and adorable. I came here for an event, got contained to upstairs. Service at Boston venues was prompt and food was awesome. 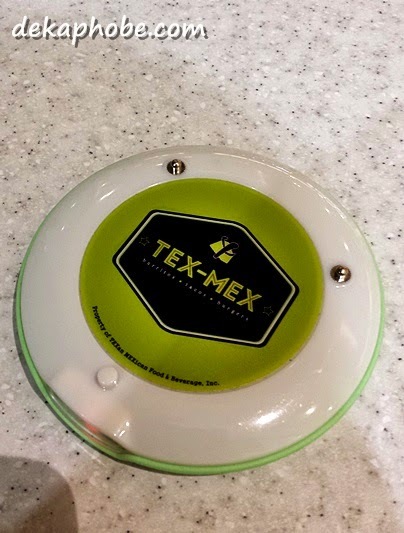 hmm prang interested tex-mex... i'll add that to our long family food list haha.